As a breeder, you can enjoy our special Nutricanis breeder program. This program is aimed at supporting you in raising your puppies to become healthy, active adults. We are delighted to share with you our knowledge about proper dog nutrition: As part of this program, a personal contact partner will be available to you to answer all of your questions and to note any feedback you may have, which we welcome as a way of helping us to support you even better. In addition to professional advice, breeders can also benefit from exclusive discounts and special offers that are tailored to their needs. These include options to order regular deliveries of special puppy packages or place hassle-free bulk orders. Of course, we also offer rewards as a special thank you to breeders who recommend us to others. Participation in the Nutricanis breeder program is free and only requires a one-off registration. Why not register right away? Simply send us an email with your address, proof of your business and your VAT number. Once we have verified your details, we will release your account so that you can take full advantage of all the special offers and benefits available through the program. 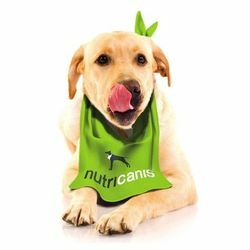 See for yourself what Nutricanis can do for you: Request our free, no-obligation information package – with informative brochures, samples to convince you of the quality of our goods and a little surprise.